Hundreds of people returned to their homes and hotel rooms Thursday, hours after officials made the decision to release all seven floodgates at a Laurel, Md., dam, letting floodwater gush onto major roadways following a line of severe storms. The decision came because officials were concerned about a leaking dam joint at the T. Howard Duckett Dam on the Patuxent River. While some water typically flows through the joint, officials became uncomfortable with the amount of water pouring through the joint and into a nearby construction site around 2 a.m. Thursday, because water would cause too much erosion around the buttress that supports the dam, threatening the structural integrity. "You don't want to do anything to compromise the integrity of anything on a dam," said Lyn Riggins of the Washington Suburban Sanitary Commission (WSSC). "We reacted to what was happening, and the reaction was to release more water." Areas of Laurel, Md., flooded after officials had to open all seven floodgates due to concerns about too much water pouring through a joint. City officials used a special mapping system to predict the flood zone and evacuated hundreds of people accordingly before opening the gates. "There was a potential of something could of happened, and we can't take a risk like that when you're dealing with a water supply for hundreds of thousands of people," said Jim Neustadt, of WSSC. WSSC crews began closing them again around 8 a.m. Thursday. Residents in a flood zone are returning to their homes Thursday, hours after they were evacuated when officials had to open floodgates at the T. Howard Duckett Dam. The water has begun to recede, but those facing damage wonder if it could have been avoided. Fred Frederick, who owns a car dealership in the area, said he has lost at least 23 cars due to the flood. He expressed his disappointment with WSSC's decision to open the floodgates, saying they should have released water slowly, before the rain. "They could have lessened the damage by reacting quicker," he said. At the Selborne House Apartments on Main Street, about 200 senior citizens were taken to a safer location, according to a tweet from the City of Laurel. "It's just not a convenience; it's something that's necessary and you respond to the call," said resident Charles Clyburn, 74, of the evacuation. Other evacuated areas included: the Patuxent Greens Development on Greenview Drive, the Quality Inn Hotel on 2nd Street, Post Office Avenue, Orchard Town, Riverview Court, 4th Street and Avondale Street. 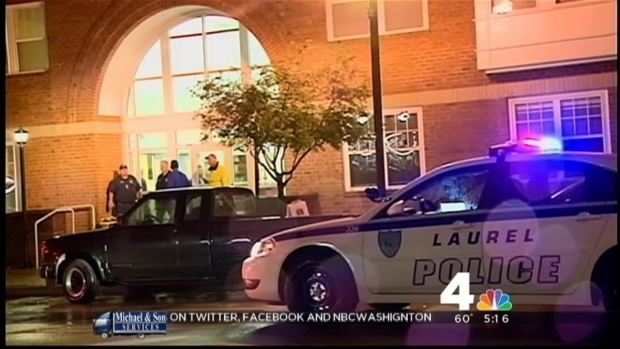 Hundreds of people were evacuated from homes and hotel rooms in Laurel, Md. 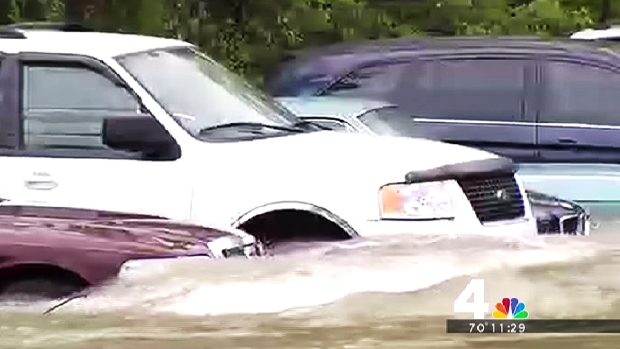 as floodwaters continue to rise following a line of severe storms. The evacuations include the Selborne House Apartments on Main Street, where about 200 senior citizens were being taken to a safer location. 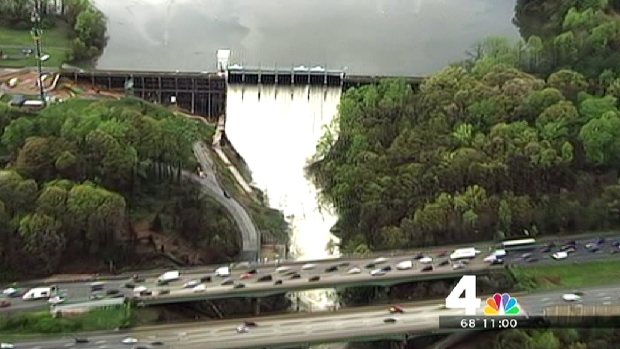 Very early Thursday morning, Laurel authorities had said the dam was cracked. However, officials for WSSC said they were confident the dam was secure, but the high water needed to be released. The situation at the dam had "stabilized" by about 3:30 a.m., WSSC said, but the gates needed to stay open for four or five more hours after that. The utility also released water from the Brighton Dam in Brookeville, Md. WSSC called this a perfect storm of circumstances: The rain combined with the construction near the buttress. In a statement, a spokesperson said that in a few months, this would not have happened. City officials say businesses affected by the flood will have to be inspected before they can reopen. Route 1 will remain closed until the water recedes. Laurel Mayor Craig Moe said the evacuation went as well as could be expected, but he would have appreciated better communication from WSSC. "I am concerned," he said. "I have not spoken to the general manager; I haven't talked to any senior management at WSSC, and with all that's occurred I'd thought we'd at least had a phone call or something from them. We hadn't." Moe warned residents to stay away from the area during the evacuation. "It's deceiving. Where it might be a foot, you may step somewhere else and it could be three or four feet... We don't want them anywhere near that," Moe said. Moe tweeted photos of water rising near the Stewart Manor Apartments and at Casula Point, at 9th Street. "Never seen water this high," he tweeted about Casula Point.